Welcome to a Room with a View. Amazing open living area with a wall of windows and a panoramic view of the City. Luxurious kitchen was designed by renowned architects from Chicago. Granite counters, custom cabinetry including sliding door pantry, built in refrigerator, undermount sink, stainless steel appliances and wine cooler. 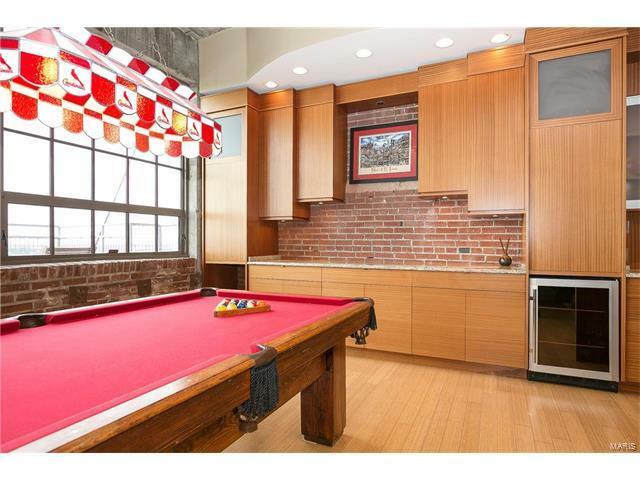 Supersized loft includes three bedrooms and two full baths. Master bath has an upgraded vanity, deep whirlpool tub and glass enclosed steam shower and a massive walk in closet. Take a spin up the spiral staircase to the loft space. 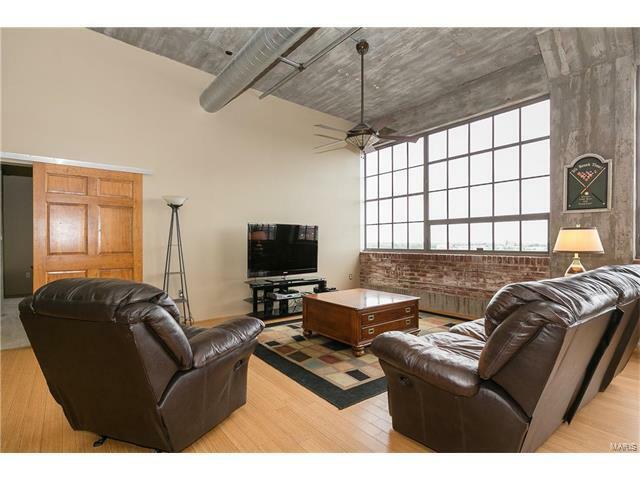 Loft area includes 200 s/f exterior area outside of unit which can be converted into a private outdoor balcony. Owner has plans and can convey them with purchase. Fabulous rooftop deck with pool and clubhouse. 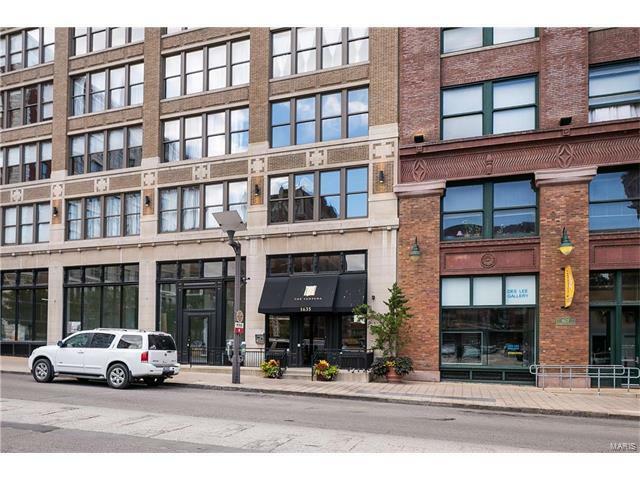 This loft comes with 2 dedicated parking spaces, hi speed internet and cable, 24 HR video surveillance & secured doors at entry and elevator. 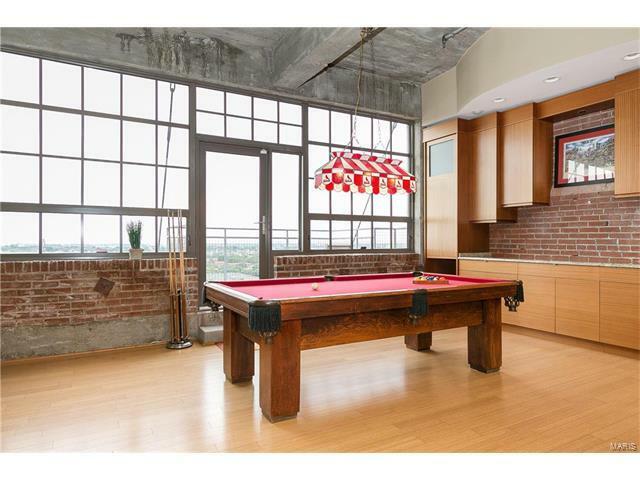 Buyer becomes the lucky new owner of the custom made Cardinals pool table and light.